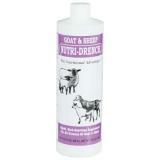 Provides quick, safe nourishment for "near-death" situations in sheep and goats. We are unable to ship this product outside of the USA. 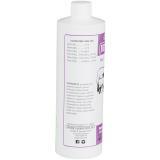 Use to treat pregnancy toxemia, enterotoxemia, E. coli ("watery mouth") or fly strike for any animal that is heavily stressed by parasites, weather, lactation or pneumonia. Ingredients: molasses products, propylene glycol, calcium carbonate, choline chloride, DL-methionine, I-lysine, Vitamin E supplement, Vitamin A supplement, Vitamin D-3 supplement, thiamine mononitrate, niacin, zinc sulfate, ethylenediamine dihydroiodide, magnesium sulfate, manganese sulfate, copper, iron sulfate, sodium selenite, cobalt sulfate. Directions: Shake well. Feed directly into mouth. Use pump bottle to place dosages onto the tongue. Store at room temperature. Newborns: 4mL (cc) = 2 pumps as soon as possible after birth. 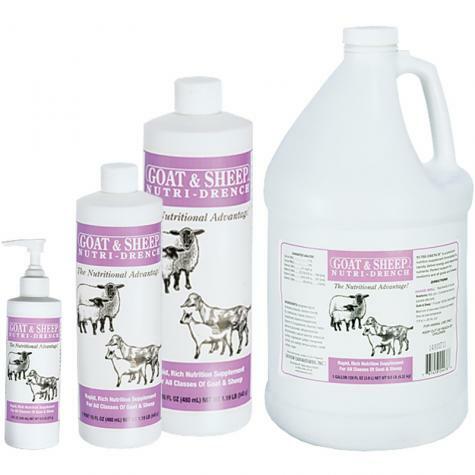 Goats and Sheep: 1 fl oz = 30 ml (cc) per 100 lbs. body weight. Maximum of one dosage every 8 hours. 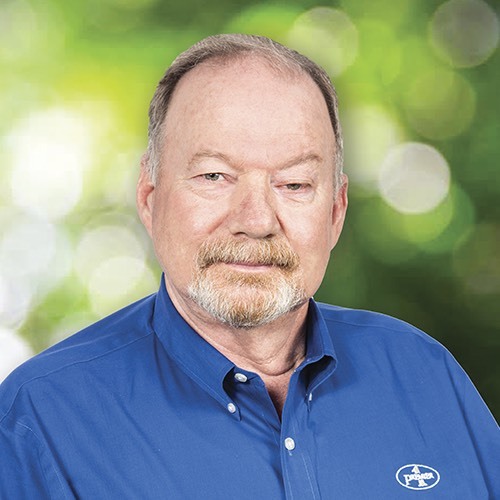 An essential animal husbandry tool for on-farm use. Quickly reads an animals temperature. Provides a sterile plastic barrier so that you neither spread disease to other farms nor bring organisms home from somewhere else. 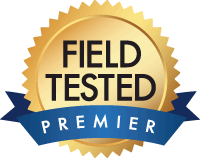 Number of reviews: 14 customers reviewed this product. Recommended: 14 out of 14 said they would recommend this product to a friend. We revived a fly-struck ewe with a "death wish" that stumbled/fell into one of our ponds (twice) and then refused to eat. Nutri-Drench revived both her appetite and strength. 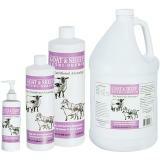 This is a great product, we use it on all lambs and kids right after birth. 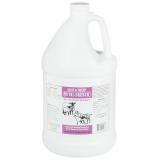 Easy to administer and has saved newborn lambs and goats and seems to aid very heavy does and weak does. Very good product! A must, life saver in some situations. I apply to all my newborns, but helps a lot the small lambs. Indispensable, puede salvar un recien nacido. Yo lo aplico a todos mis borreguitos, pero ayuda en especial a los que nacen debiles. No farm should be without nutridrench. I use it anytime a goat or sheep look dumpy. I give it to my goats and sheep after giving birth along with their babies. I would recommend this product. However when we received it the bottle and been broken and then wrapped up. The vitamin leaked all over everything.